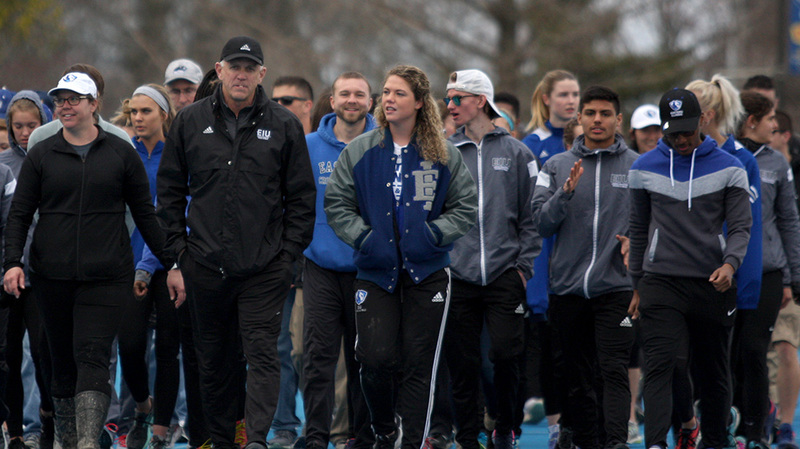 Eastern track and field coach Tom Akers leads the honorary walk around the track for his last home meet as coach Friday at O’Brien Field. 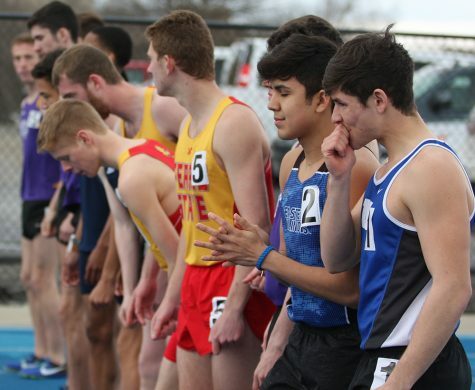 The women’s track team placed third and the men’s team finished second in the EIU Big Blue Classic. 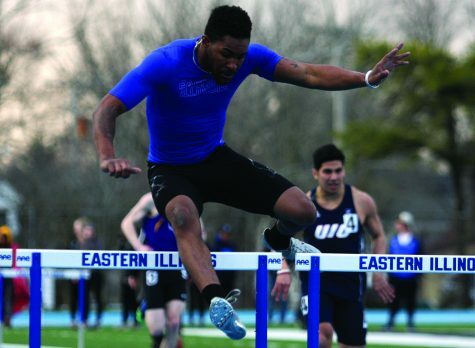 Eastern junior Pedra Hicks setting the school record in the 400-meter hurdles with a time of 1:00.35 on Friday in the EIU Big Blue Classic, that was real. The men’s track and field team placing second and the women coming in third, that was also real. The fact that this would be long-time coach Tom Akers’ last home meet was also real, but that was something that had not quite sunk in with him. Before the meet began, Akers was honored with a plaque and a crowd of people, including the track and field team, current and former members, joined him on the track to walk an honorary last lap as a group. Akers was delivered a great moment to watch very early on in the meet,when Hicks broke the school record in the 400-meter hurdles, something she was not aware she had done until Akers told her. She was greeted by teammates soon after and the excitement from all of them was hard to miss. Settle Hicks did not on that run, as she held on to beat sophomore Erin Down of Western Michigan by .01 seconds and secure first place and the school record. Akers is not convinced that the new school record will hold through the rest of the season, however. 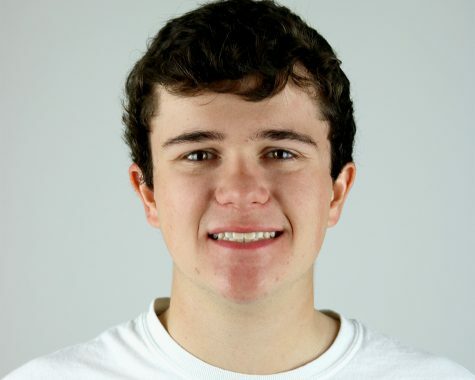 He thinks that both Hicks and teammate Shirley Jones have a chance to break the record and get under one minute as the weather continues to warm up this spring. “I don’t think that record is going to stand very long because I think (Hicks) is going to break it and I think (Jones) is going to break it again. 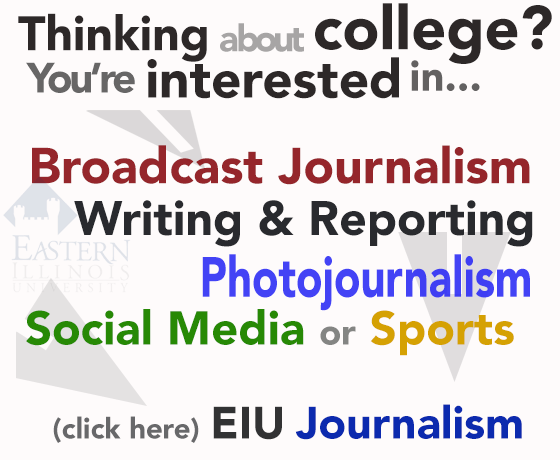 So, it will be interesting to watch those two go after it,” Akers said. The weather conditions on Friday were certainly not optimal to break any school records, and for Hicks, who transferred from Central Arizona Junior College, the cold temperatures are something she is not used to. She said she was surprised herself that she broke the record on Friday. Eastern’s women’s team had three other individual first-place finishes, Haleigh Knapp in the high jump with a height of 1.73 meters, Grace Rowan in the 1500-meter run with a time of 4:44.87 and Brion Portis in the long jump and triple jump with distances of 5.78 and 12.33 meters respectively. The men’s team finished in second-place and had six individuals finish in first-place. Junior Devante Smith finished first in the 100-meter dash with a time of 10.71 seconds. Tadiwanashe Mhonde took first in the 200-meter dash with a time of 22.31 seconds. In the 5,000-meter run, senior Riley McInerney place first with a time 14:40.80. Senior Davion McManis finished in first-place of the long-jump with a distance of 7.26 meters. Senior Ryan Pearce placed first in the discus throw with a distance of 51.45 meters.